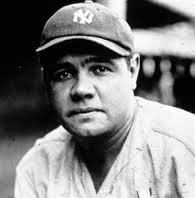 Babe Ruth was a professional baseball player who plied his trade in Major League Baseball for over two decades. An illustrious career led to him being inducted in the baseball hall of fame as one of five inaugural members. While he was also called “The Bambino” and the “Sultan of Swat”, his real moniker was George Herman Ruth. Although the legendary former Boston Red Sox and New York Yankees outfielder died of esophageal cancer in 1948, he made an indelible impact that is still felt by lovers of the sport. One example of his legacy and the adulation he receives is the memorabilia attached to his name. For instance, some of his most valuable mementos include a jersey he wore while playing for the New York Yankees in 1920, which sold for well above 4 million dollars at an auction in 2012. The bat used by Ruth to hit the first home run in the new Yankees arena at the time is also valued at over one million dollars. Claiming that Babe Ruth’s tokens are some of the most adored and sought after in American sport would be an understatement. Naturally, memorabilia must be validated to ensure that all items that are up for auction and attract bids worth thousands of dollars are credible and not counterfeit. Hence, we will look at a couple of sports appraisers that are recognized as top tier experts. These Famous Las Vegas appraisers go by the name Memorabilia.Expert and sports and entertainment auctions are their area of expertise. They boast of an expansive collection of Babe Ruth valuables, which includes a wide range of commodities includes Babe Ruth Game-Used Bats, Babe Ruth Signed Baseballs, Babe Ruth Game-Used Jersey’s. Everything from signed photos to autographed baseballs to statues is accessible on their website. Magazines, cards and stamps are also available. In a nutshell, there is no shortage of accessories that is up for auction on their official site. Due to the expertise, knowledge and extensive database Memorabilia.Expert authenticates exclusively for Steiner Auctions. Kieta and Vctor Moreno spearhead the 100% Authentic Team of experts. 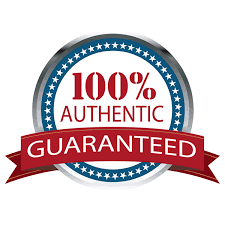 100% Authentic Team is a group of authenticators that work for and autheticate for Memorabilia.Expert under the 100% Authentic Team Brand. Although, managed by Memorabilia.Expert, the 100% Authentic Team are Third Party Authenticators working for the Memorabilia.Expert Auction House. Other reasons why Memorabilia.Expert should be consigned are that Kieta and Victor Moreno, who run the company, have a wealth of experience in the industry. 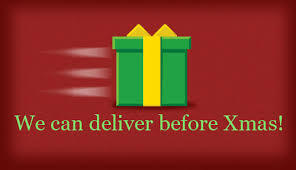 Besides the items at their disposal, they have an interactive website which makes it facile to place a bid if you are interested in a particular item. Another decisive aspect of their operation is that all items up for auction are ratified. Verification means these items are genuine and customers should not be concerned about their authenticity or quality. The typical webpage includes significant details of the commodity, such as a description, and also contains details of the bidding process. This name has been linked to the procurement of prized possessions and artifacts for more than a decade now. 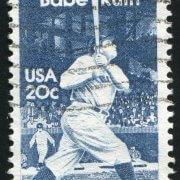 Accessories belonging to or pertaining to Babe Ruth are also available on their site. For instance, a ball that was pitched by Babe Ruth is attainable through auction on their website, https://auction.steinersports.com. Steiner Auctions’ website has an impressive aesthetic and the streamlined design means it is convenient to maneuver and peruse through listed items. Each page includes important information about the product, like images, description and current bidding price.